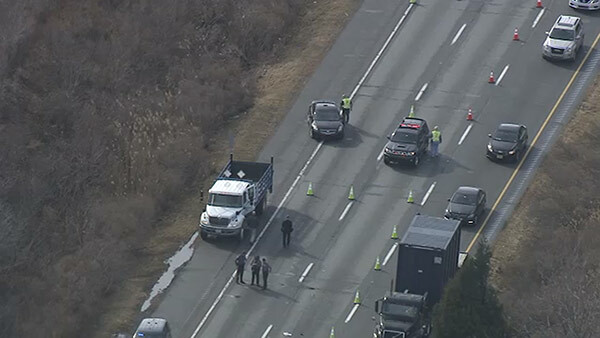 UPPER CHICHESTER, Pa. (WPVI) -- Police were on the scene of a crash involving a pedestrian on Interstate-95 in Upper Chichester, Delaware County. It happened around 12:30 p.m. Tuesday in the northbound lanes near exit 2. All northbound lanes were shut down near the accident scene, but have since reopened.